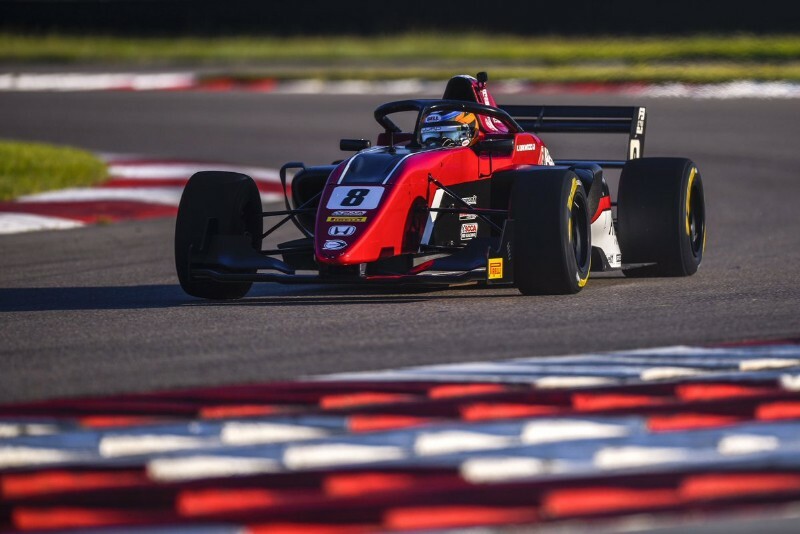 Kyle Kirkwood became the inaugural Formula 3 Americas champion at NOLA Motorsports Park, while Baltzar Leguizamon also secured second in the standings. Abel Motorsports driver Kirkwood took his fourth pole in five attempts in qualifying, but an unscheduled trip into the pits in the first race meant it was Leguizamon who took the first win of the weekend. The Argentinian led a Global Racing Group podium lockout, with Benjamin Pedersen and Parker Locke coming home in second and third. Locke finished the race a lap down, with Kirkwood two laps further back but still classified for points. Kirkwood was still able to set fastest lap, and he started the second race from the front. This time round he took victory, heading Leguizamon by 1.401 seconds, and taking the title in the process. Atlantic champion Leguizamon also secured the runner-up spot in the championship as a result. Pedersen completed the podium, ahead of Locke and Jacob Abel. Having started in a less than ideal way, Kirkwood ended the season in style by taking his 13th victory by over half a minute. Leguizamon once again finished second, with Abel, Pedersen and Locke completing the finishers. John Paul Southern Jr retired from both races one and three, and failed to start the second encounters. Two races will be held at the United States Grand Prix next week, in which third place in the standings will be up for grabs.